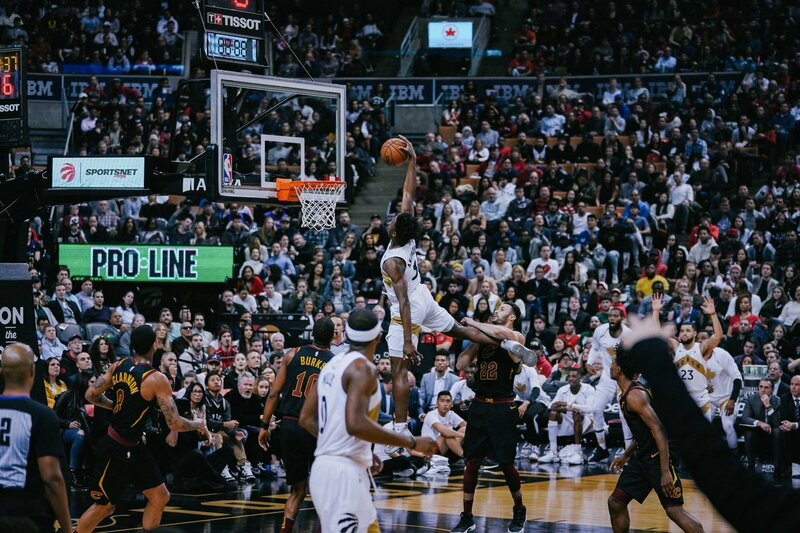 The Toronto Raptors defeated the Cleveland Cavaliers on Friday 126-110, as Scotiabank Arena held “Welcome Toronto” night. Toronto wore their white OVO jerseys for the second time, and will wear them four more times during the season. Kyle Lowry, Serge Ibaka, Jonas Valanciunas and Danny Green did not play against Cleveland. Green was the only Raptor to play every single game up until this point. This was the first time this season that Nick Nurse did not start a centre. Instead, he started two point guards in Fred VanVleet and Delon Wright, and three forwards. Kawhi Leonard led the way in scoring with a season-high 37 points, he shot 12-16 from the field, and went 11-12 from the free throw line. OG Anunoby scored 13 of his 21 points in the first quarter, and made three three-pointers. Anunoby tied his career-high in points. Pascal Siakam recorded a double-double by scoring 11 and rebounding 10, while Norman Powell provided 11 points off the bench. First-round draft pick Collin Sexton scored 17 points, Larry Nance had a double-double with 16 points and 12 rebounds. Jordan Clarkson scored 20 points off the bench. The Raptors had to rely on playing in the paint as opposed to shooting on the perimeter, because they were missing their leading three-point scorer in Danny Green. OG Anunoby scored nine points from three-point range, including two threes back-to-back. Anunoby was also able to get it done on the inside. Leonard scored 22 of his 37 points in the second half. It was announced late on Friday that Kawhi Leonard will rest for the second game of the Raptors back-to-back, which will be at Wells Fargo Center against the Philadelphia 76ers. Kyle Lowry and Danny Green are listed as questionable.